Good news, soccer-obssesed dudes—it turns out if you can kick the ball, you can dance too, at least, as long as you also have a little help from a film editor. 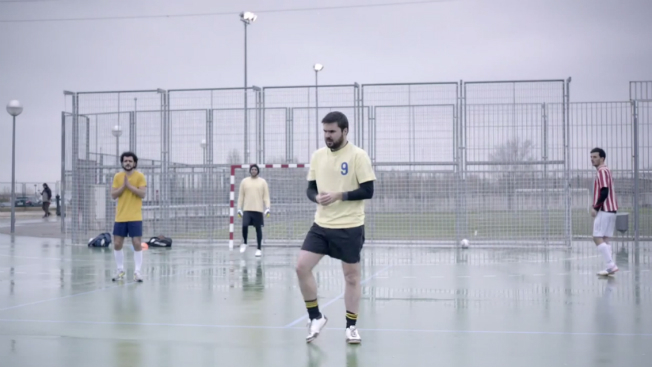 A set of ads from Spanish soccer magazine Libero takes on the idea that men can't cut a rug, by looping footage of casual soccer players doing warmups, feints, passes and other tricks in time with music. Sure, the "Can-can" video is a touch corny (who wants to hear that song again, ever, even as a joke?). But the rock and techno clips all more or less nail the movements with panache (Cumbia looks great, too … we just can't call ourselves experts). Of course, the ads might also be ruining a perfectly good excuse for the guys who were just being lazy.